Prime Minister Narendra Modi will inaugurate the Buddha Jayanti celebrations at the Indira Gandhi Indoor Stadium in New Delhi, on Monday afternoon. The event will also be attended by Culture Minister Dr Mahesh Sharma, Minister of State for Home Affairs Kiren Rijiju and International Buddhist Confederation (IBC) Secretary-General Dr Dhammapiya. Buddha Purnima is being celebrated across the country to mark the birth of Gautam Buddha, the founder of Buddhism. 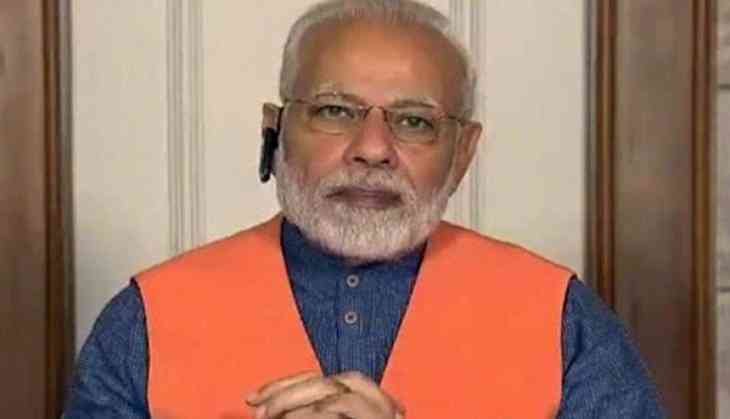 In his 'Mann Ki Baat' programme on Sunday, Prime Minister Modi wished people ahead of the occasion and remembered the teachings of Lord Buddha. "Lord Buddha was the fountainhead of egalitarianism, peace, harmony and brotherhood. These are human values, which are most desired in the world today," he said. The Prime Minister also took to Twitter to extend his greetings, "The teachings of Lord Buddha are extremely relevant in the 21st century. His was a life devoted to alleviating suffering and removing injustice from society. His compassion has endeared him to millions. Buddha Purnima greetings to everyone!" In his greetings, President Ram Nath Kovind recounted Gautam Buddha's principles of non-violence, love and compassion. "On Buddha Purnima, greetings to fellow citizens and to the global Buddhist community. Lord Buddha's message of non-violence, love and compassion provides us the strength to work for the welfare of others. May his teachings guide us towards universal fraternity #PresidentKovind," he tweeted. MP Police Recruitment 2018: Shocking! Constables recruited with ‘SC & ST’ mark on their bare chest; is this a ‘mental torture’? READ NEXT >> MP Police Recruitment 2018: Shocking! Constables recruited with ‘SC & ST’ mark on their bare chest; is this a ‘mental torture’?